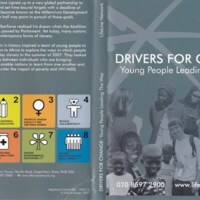 Drivers for Change was a project led by LifeLine Network, a network of partnerships between community organisations and NGOs with a common aim to fight poverty. 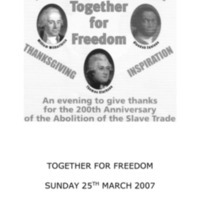 In Summer 2007, a team of young people visited Zimbabwe, Sierra Leone and Dominica to explore the ways in which people were combating modern slavery. 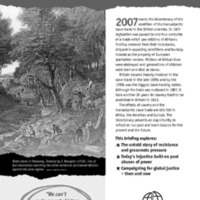 The trip was inspired by two significant points in history: the 1807 Abolition Act, and the half way point of the Millennium Development Goals, for which 189 nations signed up to a new global partnership to reduce extreme poverty. While in Africa, the group looked at how global partnerships between individuals bring communities together, and assist in countering the impact of poverty and HIV/AIDS. 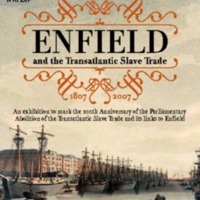 A film was produced documenting the trip, launched at an event was held at the Palace of Westminster. 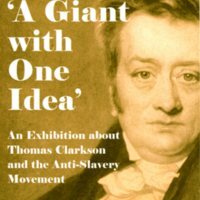 A Giant with One Idea told the story of the anti-slavery campaign through the personal narrative of the abolitionist Thomas Clarkson, who was born and raised in Wisbech. 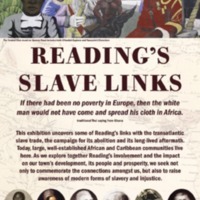 The exhibition included an overview of the transatlantic slave trade, major campaigners in the abolition movement, the antislavery campaign after 1807, and details of Clarkson’s travelling chest, which he used to help illustrate the cruelty of the slave trade. 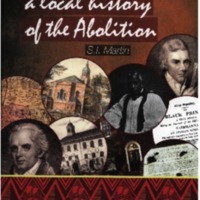 The exhibition later travelled to other venues in the area. Accompanying the exhibition was a handling box based on Clarkson’s chest available for schools and community groups, as well as a children’s activity booklet led by the character of Clarkson himself. 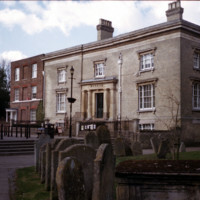 The museum also supported the publication of a number of books telling the life stories of Thomas Clarkson, and his less well known brother, the naval officer John Clarkson. 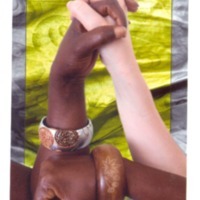 The Wilberforce Women project was launched by the Hull Women's Centre with the support of Wilberforce 2007. Hull based photojournalist Lee Karen Stow worked with groups of women from the twinned towns of Hull and Freetown (Sierra Leone), through photography and messages of friendship. Women from Hull were invited to think about themes of Pride, Freedom, Belief and Change and contribute a photograph on the chosen theme to send as greetings to women in Freetown. To return the greetings, women in Freetown were taught basic photography skills in order to interpret their own thoughts on the themes. 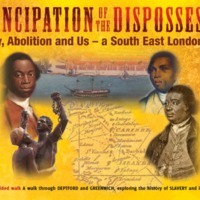 A selection of the images were displayed at the Humber BBC Open Centre and on the BBC Humber website, as well as a dedicated exhibition at the Ferens Art Gallery and at the Wilberforce Institute for the Study of Slavery and Emancipation. 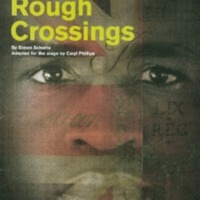 A second stage of the project saw the images and messages being collated into a photographic book and DVD. 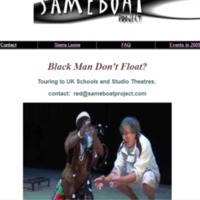 A replica of the nineteenth-century slave ship Amistad visited Liverpool, Bristol and London as part of the Atlantic Freedom Tour in 2007-2008. 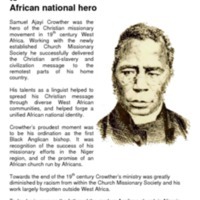 The ship set sail from its home port of New Haven, Connecticut, on a 16-month 14,000 mile transatlantic voyage to retrace the slave industry triangle. The ship stopped at more than a dozen Atlantic ports, including Freetown in Sierra Leone. 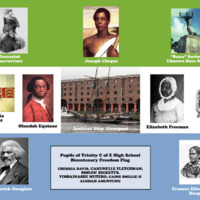 Students from the UK had the opportunity to join the crew of the schooner – a replica of the original ship commandeered by 53 of its African captives in 1839 – on one of its legs, and transmitted text, images and videos back to the classroom. 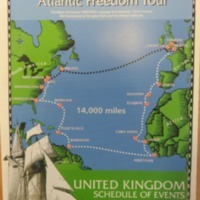 At each UK port, the ship was open for guided tours. There were also accompanying lectures.